My excessive Christmas hawl. 10 new 1/18's. 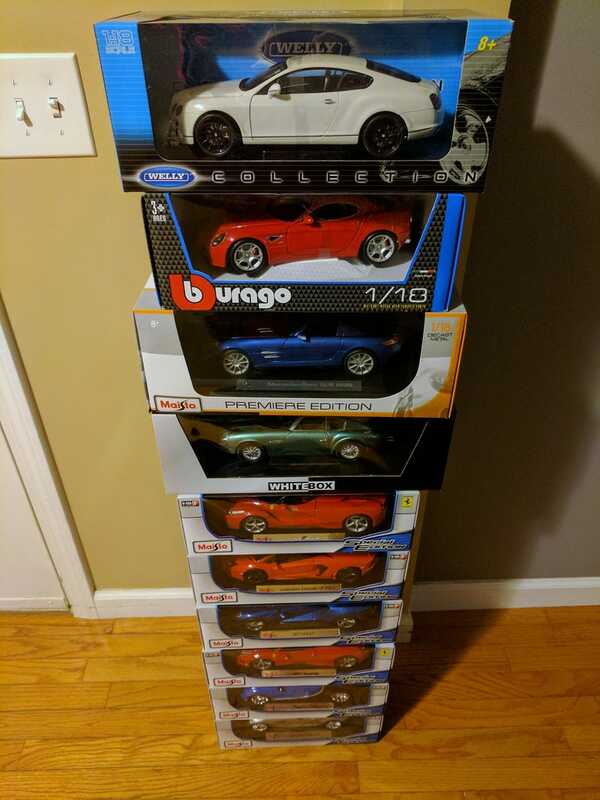 To be fair, 6 of these are the Costco Maistos that Pillarless Coupe hooked me up with, these were “gifts” from my wife. My in-laws got me a Maistos SLS, 8C, and a DB4 Zagato. My mother got me the Bentley. I’m really pumped about the DB4! I also got a tripod for my camera. Got a 55-250mm zoom lens too, but that was more for taking pictures of my boys.